In a dramatic but widely expected step, Greece formally defaulted on a $1.7 billion payment to the International Monetary Fund early Wednesday in Athens. Greece became the first developed country to default to the IMF, an organization of 188 nations that tries to keep the world economy stable. Greece will now be cut off from access to IMF resources until the payment is made. The move came hours after the country made a desperate attempt Tuesday to halt its plunge into economic chaos by requesting a new European bailout. Greece asked for a two-year bailout from Europe, its third in six years. The bankrupt country is reported to be asking for 29 billion euros ($32 billion). Finance ministers discussed the request by phone and agreed to hold another call Wednesday, when Greece is expected to provide more details. Jeroen Dijsselbloem, who chaired the meeting, said any new rescue may require tougher conditions than those Greece has already rejected because of the rapid deterioration in the country's finances. "So this is not an easy road to go down," he told CNN's Richard Quest. Greece is fast running out of money. It rejected the conditions Europe and the IMF set for releasing the remaining billions from its existing bailout at the weekend. That bailout expired Tuesday. "The last chance to get a solid extension of the old program has gone by," Dijsselbloem said. "We are now in a difficult situation." 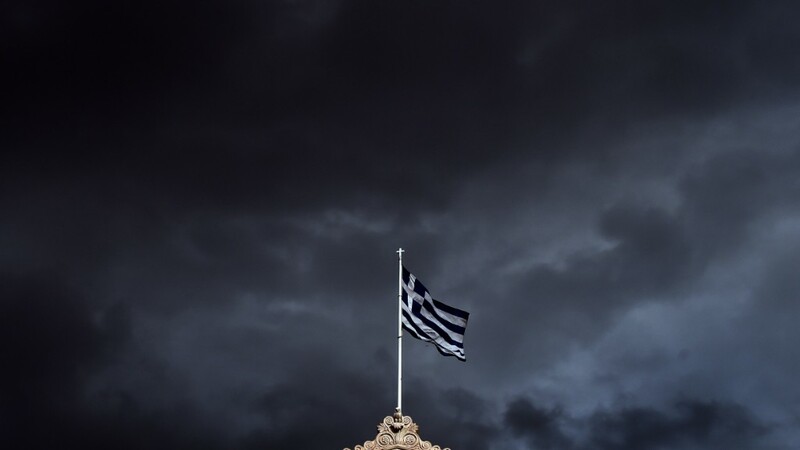 Greece is now on its own financially, and can't pay all its bills. 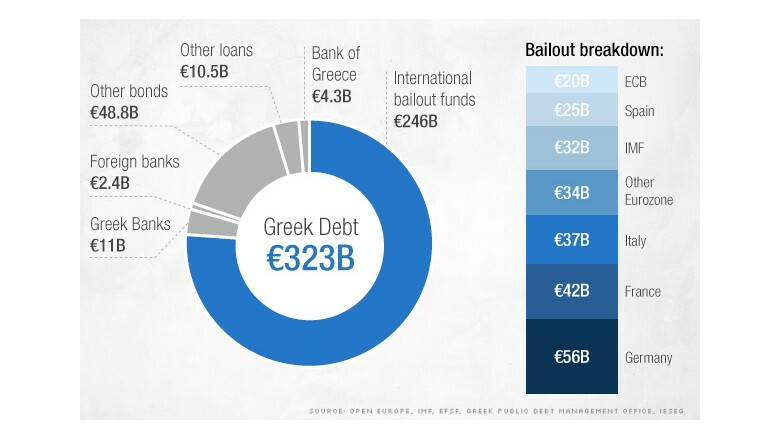 Any third bailout from Europe would take time to negotiate. And without a huge shift in the Greek government's position, a new round of talks may prove just as fruitless as the last. That's because Greek Prime Minister Alexis Tsipras is still urging Greeks to vote against the most recent bailout offer from Europe and the IMF in a referendum on Sunday. "That seems to be a very difficult base to have serious and constructive talks upon," Dijsselbloem said. European leaders have said that a "No" vote would set Greece on a path out of the eurozone. "Yes" could smooth the way for new negotiations. Analysts said Tsipras would have to perform a dramatic U-turn, accepting very similar strings to those attached to previous offers. "In short, he would have to change his behavior radically from how he behaved so far," noted Holger Schmieding, chief economist at Berenberg. "A huge hurdle for him to jump over." 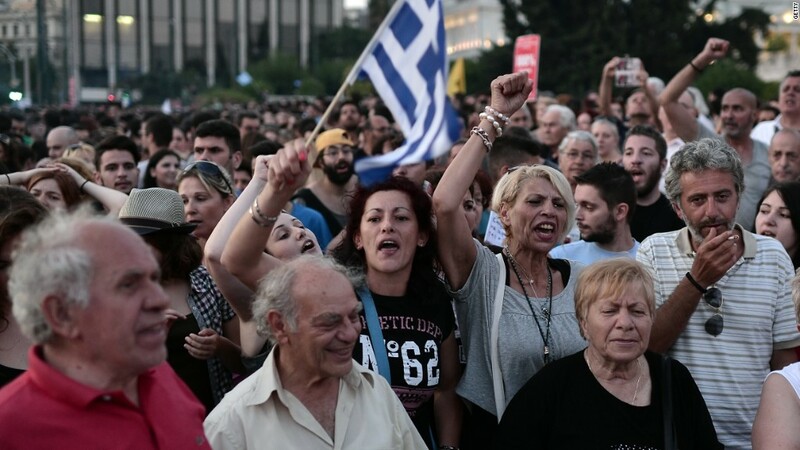 Greek banks remained shut Tuesday and limits on cash withdrawals were in place as the country tried to stave off financial collapse before the vote. Daily withdrawals are limited to 60 euros, or about $67. -- Mark Thompson and Elinda Labropoulou contributed to this article.